It's hard to make those student loan payments last all year. Even if you live on beans on toast, hunt down second-hand books and stick to one gig or student club night a month, your bank account will no doubt be looking a little sorry for itself come the end of term. So, make sure that you've got the essentials covered in advance - and save cash - with mango. One simple card, rechargeable on-line, means you can say goodbye to using cash when you travel. mango saves time, money and hassle. It doesn't matter if you use the bus or tram often, or just every now and then, mango gives you a saving of 20% off the single cash fare for every journey you make. 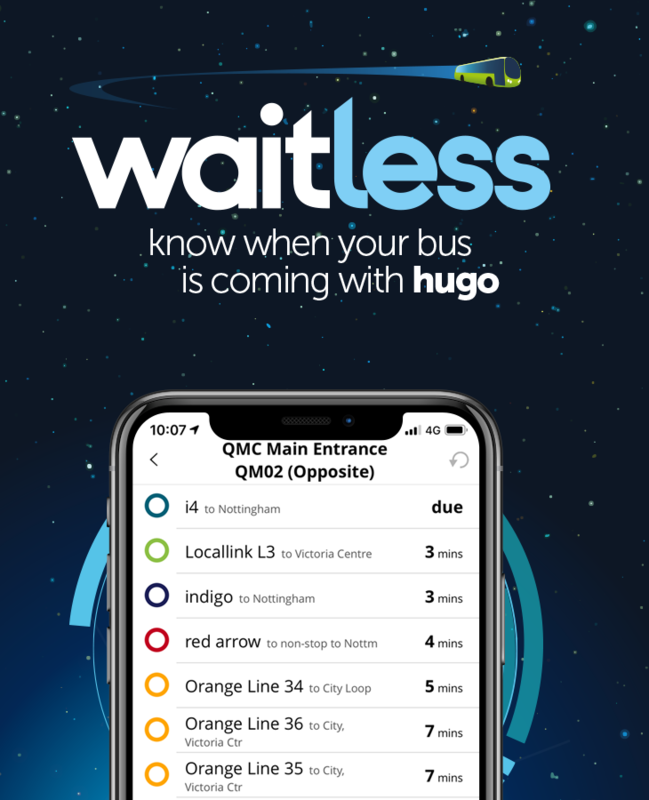 You can use mango on any trentbarton bus or on the NET tram in Nottingham. smart students pick mango to get a juicy 20% off single adult cash fares to help make that student loan go further. Top-up cards quickly and easily online and there’s no need to worry about carrying cash. If you hit your 7 day cap, we'll give you £4.50 back in mango credit*. Day caps only apply to travel after 9am Mondays to Fridays and anytime Saturdays, Sundays and Bank Holidays. 7 day & 28 day caps apply for travel at any time. NET tram caps are separate and don't count towards trentbarton caps. Our super caps mean your spending is limited, no matter how often you use the bus. Once you hit your cap, you won't pay anymore fares until your cap resets, meaning you can carry on travelling - for free! You can use your mango on any of our routes and NET tram in Nottingham. We run just over 40 routes that cover most of the East Midlands region, with frequent buses to East Midlands Airport, the Peak District, Royal Derby Hospital, Queens Medical Centre and lots of other places in between. The fastest and easiest way is with auto-top up. You can enable auto top-up on your mango account. When your credit falls below a set amount, credit will automatically be zapped to your account from your debit or credit card. You can set both the minimum credit balance and the auto top-up amount. Auto top-up can be cancelled at any time. If you don't want to set up auto top-up, you can top your mango up with credit through your online account using a debit or credit card. Or, you can top-up at any of trentbarton shops using a debit or credit card or cash. how do I get a mango? Apply online for your mango or pop into one of our trentbarton shops. You may be asked to validate your student status through a valid academic email address at several points throughout the academic year. * When you hit your 7 day cap we'll give you mango credit back. You'll need to be signed up to marketing emails and respond within 3 days to the mango money back email sent to the email address on your mango account.